is the Rosengarten professor of modern and contemporary history and director of the Society of Fellows in the Liberal Arts at Princeton University in New Jersey. His latest book is A Well-Ordered Thing: Dmitrii Mendeleev and the Shadow of the Periodic Table (revised edition, 2019). Zhores Medvedev was not crazy. But the prolific Russian scientist and author who died at the end of last year, a day after his 93rd birthday, made many powerful enemies who repeatedly claimed otherwise. By 1961, Medvedev had established a strong reputation both within the Soviet Union and abroad as a pioneering gerontologist, arguing that ageing was the accumulation of errors in the synthesis of proteins and nucleic acids. It is a view widely accepted today, but it constituted something of a heresy in official Soviet circles. Trouble began for Medvedev in 1962, late in the premiership of Nikita Khrushchev, when he turned from biology to history. He wanted to understand how an agronomist named Trofim Lysenko had come to dominate Soviet biology, essentially criminalising research about the science of genetics that Medvedev found so convincing. Medvedev began gathering all the documents and interviews he could. His resulting manuscript – though unpublished, it circulated widely among the scientific community – was entitled ‘Biological Science and the Cult of Personality’, and it argued that Joseph Stalin had illegitimately intervened in biology by endorsing Lysenko, injecting his dictatorial terror into science. The term ‘cult of personality’ drew directly from Khrushchev’s ‘Secret Speech’ in 1956 that had denounced Stalin; and, like that speech, Medvedev’s manuscript helped to mobilise opposition against its target, Lysenko. After a damning investigation in 1965 – the year after Khrushchev, Lysenko’s most influential supporter, had himself been ousted from power by Leonid Brezhnev and his allies – the Soviet Academy of Sciences concluded that Lysenko had committed fraud and mismanagement. Lysenko was removed from most of his leadership positions and dethroned as the despot of biology. Medvedev had tangled with dark forces and won. Medvedev was born, with his twin brother (and frequent co-author) Roy, on 14 November 1925, in Tbilisi, then the metropole of the Transcaucasian Soviet Socialist Republic. After he spoke out against Lysenko, he was lionised by many as a moral beacon, a scientist with a conscience. He was also a sociological exemplar of the cohort of scientists who had come of age during Stalinism and were rising to prominence in the Cold War. Beginning in the mid-1960s, Soviet dissidence was characterised by the visibility and force of such scientist-critics. It was one of the surprising legacies of the unprecedented promotion of science by the state. Medvedev’s father, a lecturer at the military-political academy in Leningrad, had been arrested in 1938 and sent to the Gulag in distant Kolyma, where he died in March 1941. Medvedev was drafted into the Red Army in 1943 but almost immediately was seriously wounded at the battle at the Taman peninsula in the Caucasus. Demobilised, he embarked upon his biological education at the Timiryazev Agricultural Academy in Moscow. Seven years later, in 1950, he defended his candidate dissertation (the equivalent to a PhD) with a thesis on the sexual processes of plants. For most of the 1950s, he pursued research in the science of ageing and won international recognition. He steered clear of the taboo subject of genetics. Avoiding genetics was crucial. In August 1948, Lysenko gave a public address to the Lenin Academy of Agricultural Sciences. It was the very moment that planes were shuttling back and forth across a blockaded Berlin in the first grand standoff of the US-Soviet Cold War that would define Medvedev’s life. Lysenko’s speech was the apex of his persistent campaign against classical genetics. After almost two decades of pitched battles between defenders of the strong Soviet tradition in population and experimental genetics and the ‘Michurinists’ led by Lysenko (who advocated a form of neo-Lamarckian inheritance of acquired characteristics), the address put a stop to the debate. At the end, Lysenko announced that the Central Committee – that is, Stalin – had approved his speech. As capitalism and communism were locked in battle with different political systems, different economies, different literatures and arts, so they would have different sciences. Genetics was henceforth proscribed in the Soviet Union: biologists were fired, textbooks were pulled, and Western developments in molecular biology were ignored. Medvedev’s historical manuscript exposed the sordid details. After Lysenko’s fall, Medvedev wanted accountability. He submitted a revision of his manuscript to a Soviet publisher. Although it cleared a very stringent review process, the censors refused to print it. He then sent the text to Columbia University Press to be published in English translation (by the Berkeley geneticist I Michael Lerner). It appeared as The Rise and Fall of T D Lysenko (1969), and remains a classic. Lysenko’s allies (and there were plenty of them) were enraged, and enrolled hardliners in the state behind them. A pirated copy of the 1962 manuscript was published, in Russian, in the émigré journal Grani in 1969, further compromising Medvedev’s political standing with Soviet authorities. He feared a neo-Stalinist show-trial was in the works. But that was not the fate that the KGB had in mind for him. On Friday, 29 May 1970, a doctor and some plainclothes policemen showed up at Medvedev’s home in Obninsk, and committed him to an asylum in Kaluga. The chief psychiatrist, Alexander Lifshits, claimed that Medvedev’s fixation on Lysenko revealed mental imbalance. Later, asylums would become a frequent mechanism for containing Soviet dissidence. In Medvedev’s case, an international political campaign on his behalf prevailed. His brother Roy rushed to his aid, mobilising foreign and domestic outrage: a petition from the Soviet Academy of Sciences; a protest from the National Academy of Sciences in Washington, DC; global coverage in newspapers. It proved more irksome to confine Medvedev than to release him. 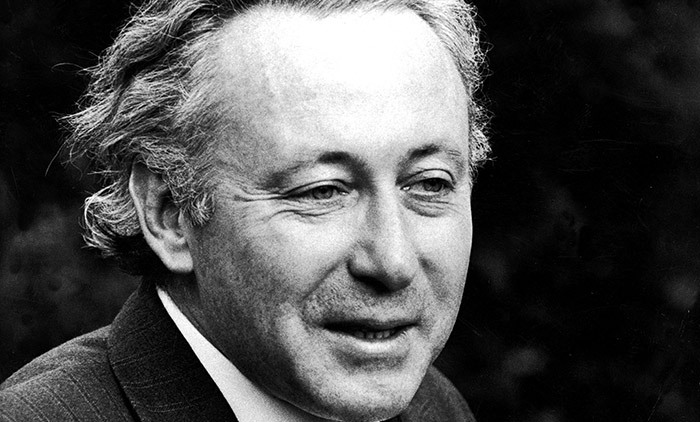 He continued to publish exposés of Soviet illegality abroad for a Western public – though they were also smuggled in as samizdat underground literature and read at home – including his account of this episode, A Question of Madness (1971), co-authored with Roy. In 1973, Medvedev was granted permission to take up a one-year post in Britain; once there, his passport was revoked. Exiling critics was a common Soviet strategy in this decade, whether abroad (Aleksandr Solzhenitsyn, 1974) or under internal house arrest (Andrei Sakharov, 1980-86). Medvedev settled in London and continued to write. He co-authored a book with Alan Roberts called Hazards of Nuclear Power (1977). 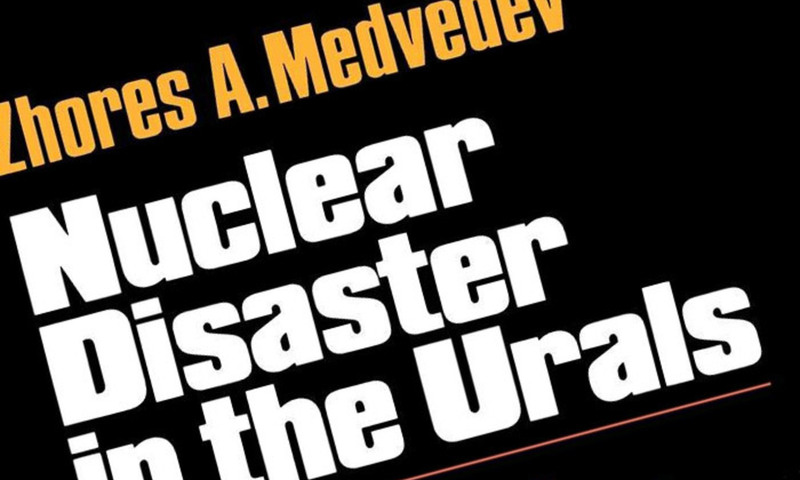 In passing, this book mentioned that in 1957 a massive nuclear explosion at a defective storage dump – the Kyshtym disaster at the Mayak plutonium-production facility – had spewed up to 100 tons of radioactive debris across the Urals. Even his Western allies thought that this was unbelievable: surely they would have heard of it? In his book Soviet Science (1978), a survey of how the Soviet science system operated, Medvedev defended the revelation of the Urals disaster by locating traces of the catastrophe in the published literature. It was hiding in plain view, if you knew how to look for it. He then published Nuclear Disaster in the Urals (1979) and followed it with The Legacy of Chernobyl (1990). He saw Chernobyl as part of the same pattern of cavalier safety practices as Kyshtym. Medvedev’s critical portrayal of the Soviet Union was powerful, persuasive and principled. He was sympathetic to the dreams of the Revolution, but he thought that cronyism and Stalinism had contaminated the early promise. You could see it in Soviet science: initially, it had been exciting, dynamic, lavishly supported by the state. Eventually, you got Lysenko. But it is also clear that something went right. Medvedev had received extraordinary opportunities from the Soviet science system. So had Sakharov, once the father of the Soviet hydrogen bomb and later the greatest Soviet human-rights activist of his era. They were joined by a host of refuseniks – Soviet Jews denied the right to emigrate – including Natan Sharansky (a computer scientist who would become an Israeli politician). Scientists had greater exposure to international ideas and foreign travel, and in turn were well represented among those who protested the Soviet state. One of the most important lessons from Medvedev’s writing, especially Soviet Science, is not the pathology of a knowledge infrastructure that could generate Lysenkos or Chernobyls, but rather the opposite. Despite all the inefficiencies and censorship, the system consistently produced critical thinkers devoted to higher ideals. Zhores Medvedev was a legacy of that system.